On #Rakshabandhan we chronicle 5 brothers and sisters from political# families. Siblings share a special bond. One that is fraught with childhood fights as well as adult confidences. It is often called the sweetest relationship ever. However, are there differences in the sibling bond that famous personalities share? Specially if they belong to the world of politics, forever in the limelight, and constantly being speculated sneak about? A peek at the bonds that some of our politicians share with their siblings. This iconic brother-sister duo joined India's independence movement under the guidance of their father, Motilal Nehru, at a very young age. 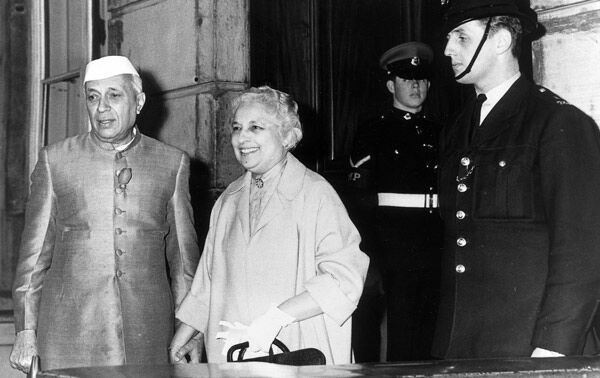 After independence, Jawaharlal Nehru became the first Prime Minister of the country while Vijaya Lakshmi Pandit became the first Indian woman to hold a cabinet post as well as the first woman President of the UN General Assembly. Eleven years younger than her brother, Pandit writes in her autobiography, The Scope of Happiness , about the deep influence that he had on her life, "Bhai made me write essays and brought into my life topics that had not until then had much meaning for me. He also opened a door for me to Buddhism, in which he was at that time much engrossed.To me, Bhai was a knight sans peur et sans reproche." Congress vice president Rahul Gandhi and younger sister Priyanka Gandhi have been partners in politics since long. While Priyanka has never contested elections, she has always lent support to her elder brother. When Rahul entered active politics almost a decade ago, Priyanka was already a master campaigner, working closely with her mother. She has time and again dismissed reports of her taking charge of Congress and joining active politics. 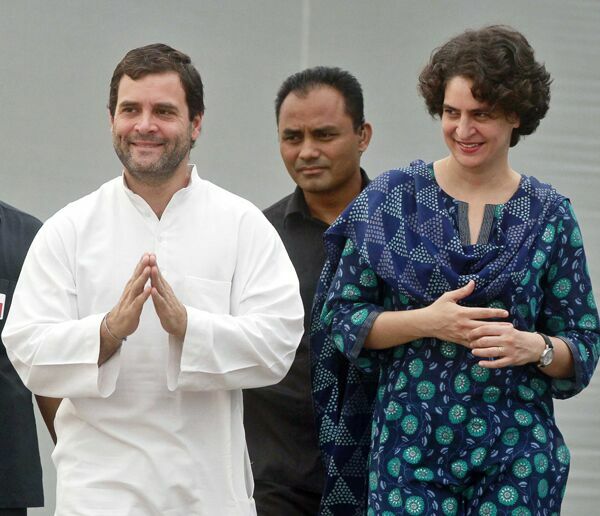 Much loved in their traditional constituencies of Amethi and Rae Bareili, Priyanka has mainly confined her political movements to these family pockets. Rahul, on the other hand, has steadily gone up the ladder within the party. In an interview to Outlook, Priyanka had showered lavish praise on her brother's political understanding and why she thinks he makes for a better politician than her. She said: "I am his sister so this may sound like sisterly fondness, but Rahul is a very sophisticated thinker; he has a brilliant mind. He is quiet, so you don't get to know about it, but sooner or later I think people will see that." The two couldn't be more different in their temperament and personalities, yet as siblings they strike a chord among people. After the tragic death of their father and BJP stalwart Pramod Mahajan at the hands of his own brother Pravin Mahajan in 2006, many looked up to Rahul Mahajan to carry on his father's legacy. But soon he was embroiled in a drug scandal. In 2007, Rahul's first wife Shweta, in a much publicised episode, accused him of domestic violence. But Poonam chose to support her brother through this difficult phase. She also ensured that she made up for her brother's disinclination towards politics. In 2006, soon after her father's death and Rahul's drug scandal, she joined politics. Rahul too was supportive of her sister's decision. "I wish her all the best. We are one, it does not make a difference who joins the party, she or I," he had said back then. With time, Rahul not only distanced himself from politics, he chose to become a reality TV star and a controversial figure. 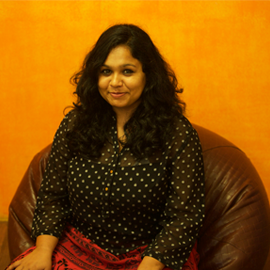 Poonam, on the other hand, consolidated her position as a politician. Apart from being a BJP MP, recently, she was elected as the first woman president of Maharashtra Basketball Association. Rahul Mahajan continues to be controversy's favourite child. In 2010, he married again, only this time it was on national television. But this time, Poonam was missing from the scene. She decided not to attend the televised marriage ceremony, raising many eyebrows. Later, she clarified that she supported her brother's decision to marry whoever he wanted to but chose not to attend the function as for her marriage was a private affair. 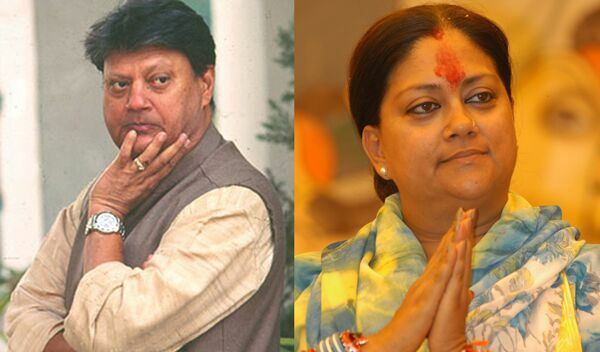 The late Madhavrao Scindia and Vasundhra Raje were born to the last ruling Maharaja of Gwalior. The brother and sister followed their mother and BJP leader Rajmata Vijayraje Scindia's footsteps and joined politics. Though both grew and lived together, when it came to politics, they had different allegiances. Madhavrao joined the Congress and his sister Vasundhra became a part of the BJP. Madhavrao, who passed away in a plane crash in 2001, had a successful run as Railway Minister in the Rajiv Gandhi cabinet. In the Narsimha Rao cabinet, he was Civil Aviation minister. Vasundhara, an eminent leader in the BJP, became the first woman Chief Minister of Rajasthan. However, their disparate political interests are still spoken about. Recently, when the Lalit Modi row exploded, her relationship with her brother was again in the news. Vasundhara in her 2011 confidential statement supporting the scam-tained IPL founder's immigration application ended up letting out the circumstances under which her brother decided to join the Congress during the Emergency imposed by Indira Gandhi, reported the Deccan Herald. She writes: "My older brother, the late Madhavrao Scindia, was also a prominent Indian politician. He was initially an independent candidate who was elected with the support of the Bharatiya Jana Sangh. Following the imposition of a national Emergency resulting in the concentration of power into the hands of the ruling Congress party, my brother, along with his immediate family switched allegiances to the Congress party, despite opposition from within our extended family." 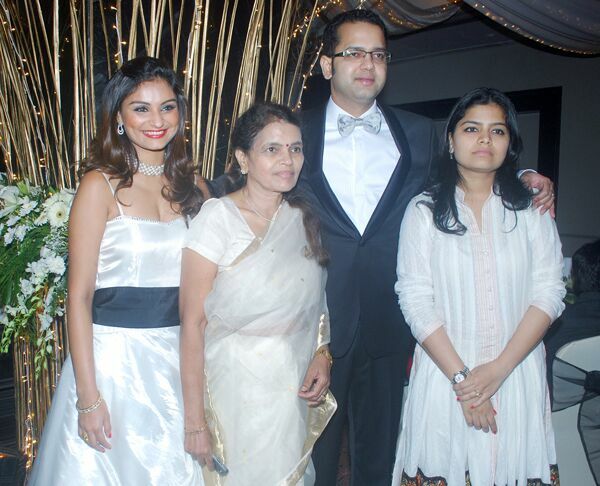 One is NCP chief Sharad Pawar's daughter while the other is his nephew. The first cousins are very explicit in showing their love for each other. In 2012, when an internal crisis struck the NCP and there were increasing differences between Sharad Pawar and Ajit Pawar, who was then the home minister and embroiled in corruption charges, Sule threw her weight behind her brother. She toured Maharashtra with him and said: "I love my brother... Blood is thicker than water. There are no differences between Ajit dada and I". 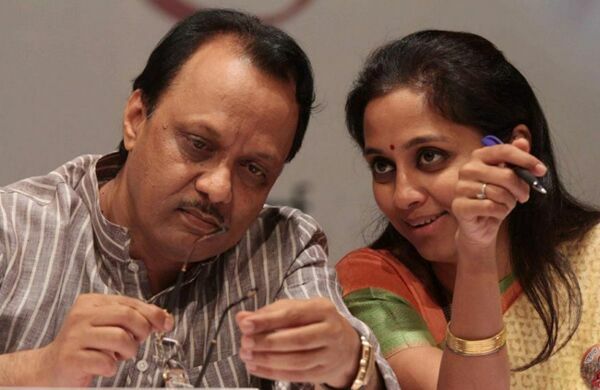 Ajit Pawar is equally supportive of his cousin. In 2014, in an extreme move he threatened to cut off the water supplies of villagers in the Baramati constituency, if they didn't vote for Sule. TWEET THIS From Jawaharlal Nehru-Vijaya Lakshmi Pandit to Rahul & Poonam Mahajan -- 5 siblings from the world of politics On #Rakshabandhan we chronicle 5 brothers and sisters from political# families.